Members of Kids Link Fiji. Fiji has taken progressive steps in meeting its obli­gations under the United Nations Convention on the Rights of the Child (UNCRC). Government ratified the UNCRC in 1993. Children in Fiji are fortunate to have legislation that upholds Children’s Rights. These were the sentiments of the President of Kids Link Fiji – a child-led initiative of Save the Children Fiji – Abigail Agu­ilar. 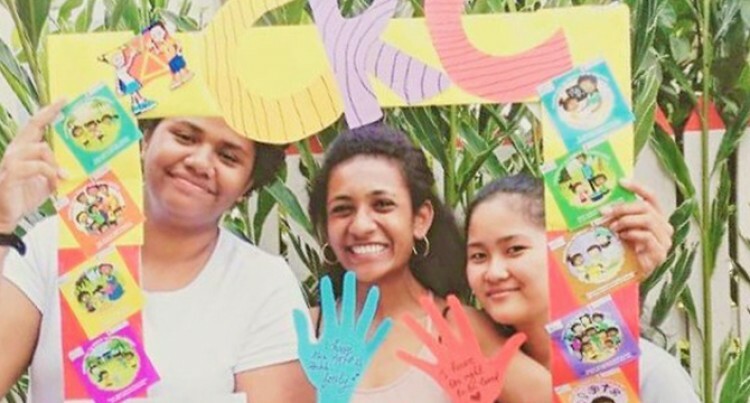 Ms Aguilar said children in Fiji were so fortu­nate that Fiji was among the 150 countries who have ratified this convention and today marks the 25th anniversary since Fiji ratified the UNCRC in 1993. There has been a lot of changes since ratification in 1993. There are more children accessing education and health services, legislation better protects children from abuse, neglect and exploitation and there are services available specifically for us, like the Child Helpline. Kids Link Fiji has also noted that there is a huge com­mitment and initiative undertaken by Government and relevant stakeholders in ensuring that the CRC principles are met and the protection and best interest of the child is a paramount priority. Reigning Ms Hibiscus Teen Contestant Roselyn Sidal said: “Even though Fiji ratified the UNCRC, we children are still going through some challenges in excising our rights. “We live in a patriarchal society and it is really hard to convince our elders to listen to our voices. Article 12 of the UNCRC states that every child has the right to an opinion and to be taken into consideration. “However, this is a continuous challenge, but we will keep advocating for our inclusion in decision making processes. “We encourage children to exercise the responsibilities that come with their rights.